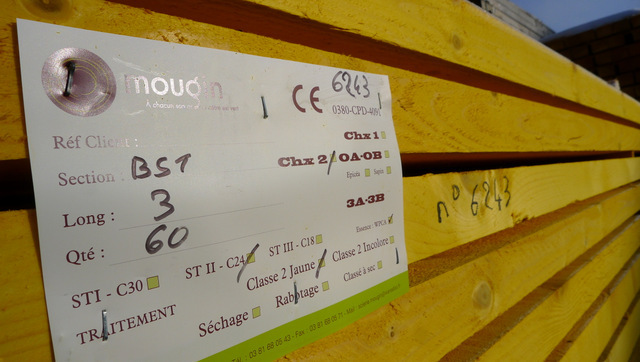 The French sawyers doubt whether the upward trend will confirm in the third quarter, after they have discovered, in the course of the summe,r an improved volume of orders and increased prices for softwood timber. Nothing is less certain, especially since the sawmills themselves are unable to foresse how the market will evolve. ''In early September, we were able to see some price increases, particularly at carpenters, but the markets still behave very differently and it is very difficult to identify trends," says Guillaume Cretin, sales manager at Clerc, a medium-sized sawmill in Doubs. Other market profesionals speak about tensions with retailers, mainly regarding ever-shorter delivery times, which are difficult to cope from a logistical point of view. "The orders are complex, but the delivery time is very short," a timber salesman complained. In this uncertain picture, the real good news comes from the products related to prices that have significantly recovered since early 2013. And indeed, the price for Northern bleached softwood kraft (NBSK) pulp rose 14% since September 2012, up to $873 per ton in October 2013. The above numbers have no contractual character, their publication doesn't involve Fordaq, neither the author.